rapid problem solving, decision-making and risk taking. The authoritative likes making decisions for itself and for others. research of data and information. The detail oriented likes very much the attention to details and likes to bring a plan to the end. to maintain balance, harmony. The stable enjoys working with others as part of a team. to interaction, to interpersonal relationships and the use of persuasive tactics. The persuasive likes to socialize and lead others through persuasion. Have questions about our services, tests or just want to say hi? Write us to [email protected] or write us to our contact form. Plan your Assessment Test Budget and Save 10% off our Price List. ADEP Test is a Personality Assessment based on DISC to find and classify the behavioral characteristics in the Personal Area and Work Environment. It is based on the four Personality styles: Authoritative or Dominant, Detail Oriented or Cautious, Stable, Persuasive or Influencer. Futura ADEP offers the newest online Personality Assessment Tool and can help organizations to improve Communication, Human Resources, Recruiting, Selection, Hiring, Productivity, Teamwork, Coaching, Development and detect training. Try your Free ADEP Profile. Know your Personality and Behavior with the ADEP Methodology. Try your Free DIAV Profile. Discover why you Behave the way you Behave - Based on our DIAV methodology Motivators. 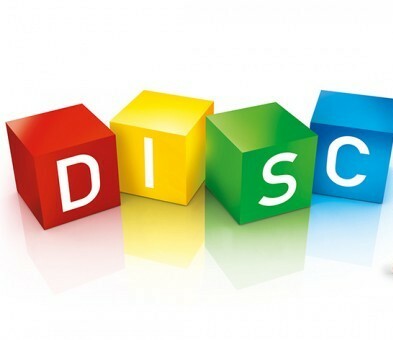 THEORY OF DISC PERSONALITY What is DISC? This model is originated in the knowledge of William Moulton Marston (1893-1947) from Harvard University. His plan was the development of a unit of measurement for the normal individual mental energy, that is, how to understand the behavior of a normal human (outside the clinical setting) and also demonstrate their views about human motivation. His method was to address this mental energy in four directions: Domain, Influence, Submission and Compliance to Standards. In 1928 he published the book "Emotions of Normal People" where formally presented Theory and in 1931 published his second book about the theory titled "Integrative Psychology." Marston's model is an extension of the teachings of Hippocrates (460-370 BC) who distinguished four behavioral styles in humans: choleric, sanguine, phlegmatic and melancholic. ADEP is a Tool based on DISC to find and classify the behavioral characteristics in the Personal Area and Work Environment. It is based on the four Personality styles: Authoritative or Dominant, Persuasive or Influencer, Stable, Detail Oriented or Cautious. Futura ADEP offers the newest online Tool and can help organizations to improve communication, Human Resources, Recruiting, Selection, Hiring, Productivity, Teamwork and detect training. 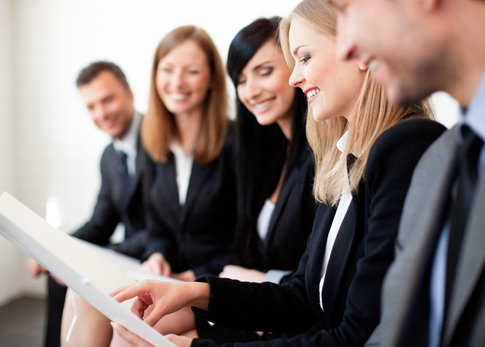 ADEP method will help you identify the right person for the position you have, according to their behavior. It can also be a support for decision-making at the time of an interview, by elaborating questions in order to explore the behavior of personnel and its fitness for a particular role. It will be useful when you want to make an internal change of personnel and identify who is qualified to be part of a team when required. Allows to discover the strengths and opportunities that are unique to each individual, so the result can be used to be shared with others and that they can figure out how to interact with their environment and improve relationships; you will also feedback getting to know others. When performing this test, you can learn about: how much potential you have for leadership, sense of responsibility, type of reaction under pressure, self-control, which tasks you prefer and which do not, positive or negative spirit, tendency to persuasion, and attachment to the rules, among others. 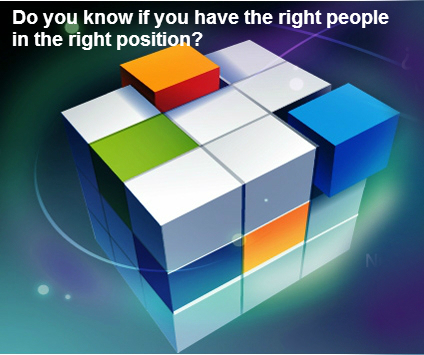 Identify the right person for the position you have, according to their behavior. 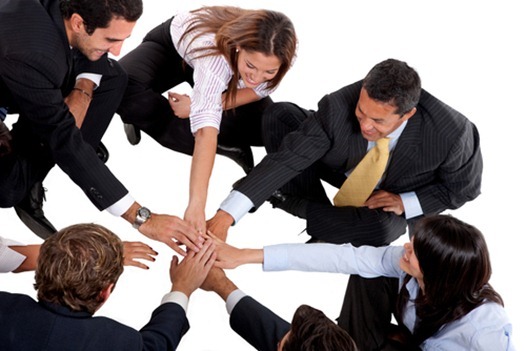 Identify who is qualified to be part of a team when required. Support for decision-making at the time of an interview, by elaborating questions in order to explore the behavior of personnel and its fitness for a particular role. To Perform ADEP will be of great benefit ? 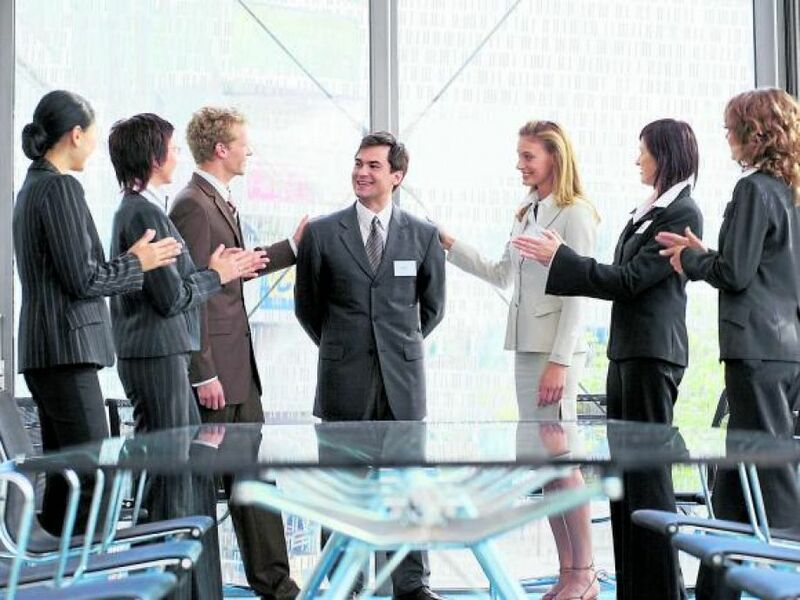 Understand the work environments that feel more or less comfortable in accordance with your personality, evidence how your predominant characteristics can be both strengths and weaknesses, learn strategies to comprehend, influence and interact with others, understand what motivates you in relationships and maximize these incentives. The starting point are the questions that will be asked and that you will answer according to your personal criteria. Later you will receive a report or outcome of the assessment. This report contains three graphs along with their descriptions. Graph I: Perception of yourself of what you really are or natural pattern style. 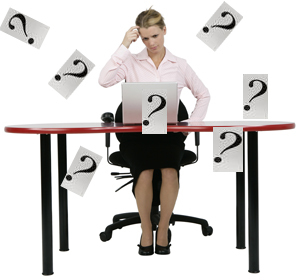 Are those behaviors that you have when you are in stressful or frustrating situations. Graph II: Adaptation style pattern. Represents the self-perception of trends in behavior that you think you should use either in the workplace, in society or family. And it can change in different environments. The report will help you understand predominant style traits that arise from the combination of the differences between the graphs I and II. When the graphs I and II are similar, it means that you feel comfortable, but if your style of adaptation (Graph II) is different from your Natural style (Graph I), this can cause stress, if is done over a long period and can be deduced that makes use of behaviors that are not as comfortable or natural for you. It will help you define the exact profile you want for the job in your company . 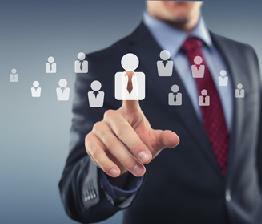 Identify the person you want to hire and the qualified candidate. DIAV Profile Know why you Behave the way you Behave - Try free our own and exclusive DIAV methodology. DIAV TOOL: WHY PEOPLE BEHAVE LIKE THIS? Each person has a Primary and a Secondary DIAV Type. 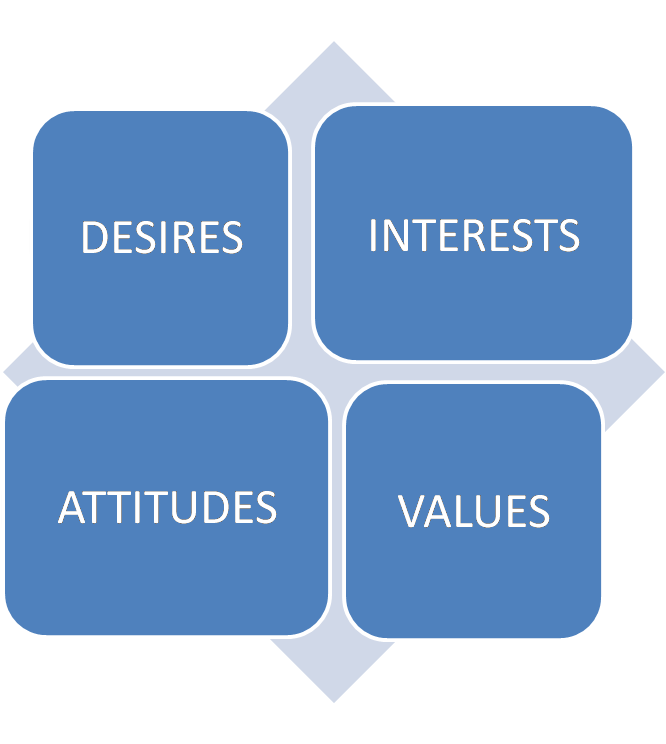 These combination marks your Desires, Interests, Attitudes and Values. Support for internal changes within the company. 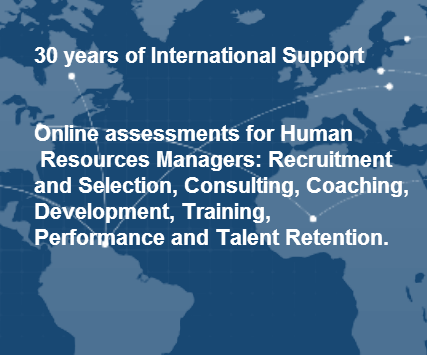 To understand the human talent or need of your team. Motivational factors. Buy your DISC Profile. Discover your Personality and Behavior. Based on our DISC Methodology. Buy your Motivators DIAV Profile Discover why you Behave the way you Behave. 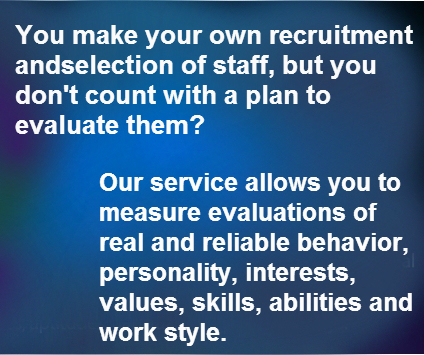 Find and classify the behavioral your personal characteristics or the Personal Area and Work Environment. - Test ADEP DISC Style Personality Test. - ADEP DISC Style Personality Test Executive Summary. 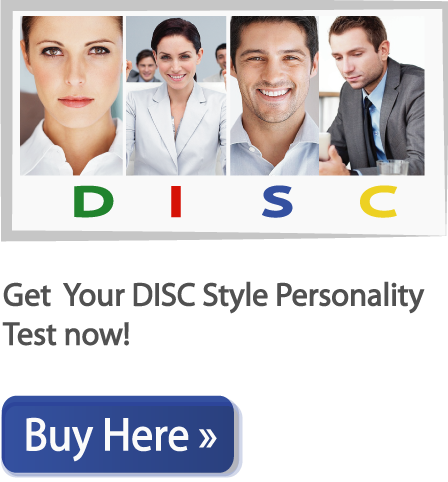 - ADEP DISC Style Personality Test Sales. 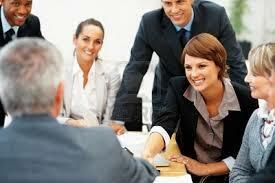 - ADEP DISC Style Personality Test Sales Executive Summary. - DIAV Motivators Test English. - DIAV Motivators Test Executive Summary English.